If you've followed this blog for a while you'll know that this is my 3rd 'Pebble'. 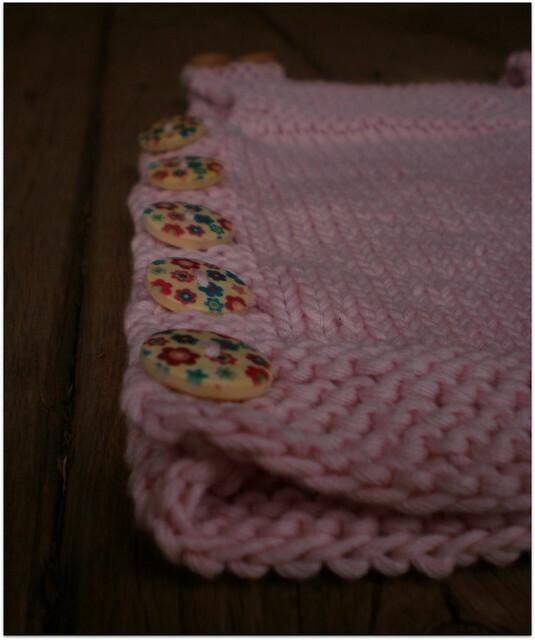 This one I've made for a lady who has been nothing but warm and generous to me since we met a few years back. She and her family have welcomed the most sweetest little girl, Tilly J, into the world on a very special day - Xmas Day!!! but until then - Happy Knitting!!! 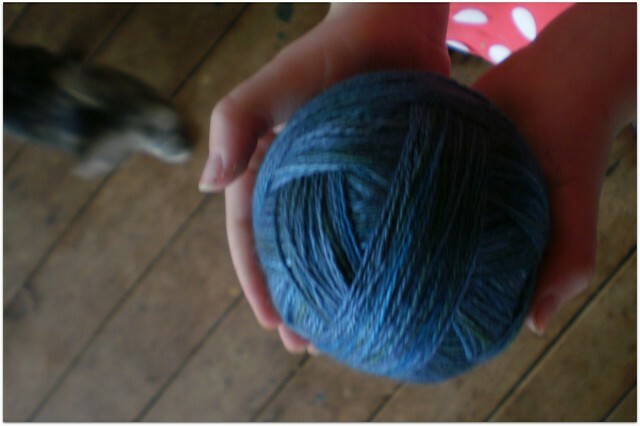 I am doing the ttl mystery sock KAL are you doing that? I have also just bought Cladonia, so gorgeous! How to choose one of her patterns??? they are all just fabulous! What a thoughtful and beautiful gift and those "pebbles" are not only pretty but practical too! Love the buttons! It's so weird because you posted on Friday January, 27th and it's still Thursday here! Plus you're having Summer and we're having Winter. We really are a half a world away from each other! But we have LOTS in common! 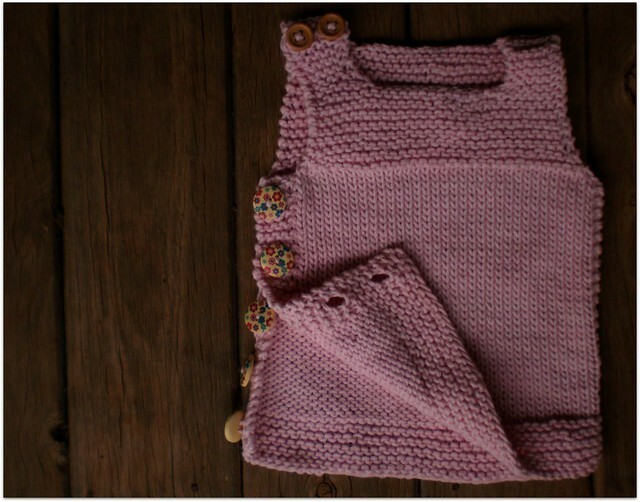 Beautiful little vest for a beautiful little baby, I'm sure. Very cute Jodie. I have my own precious little Christmas Day daughter so I know how lucky your friend feels. I'm looking forward to seeing your next project. Super cute Jodie. I'm sure it will be much appreciated. Have gotten behind on all my friendly blogs. The shawl you posted is lovely, and the sweet treats look yummy. 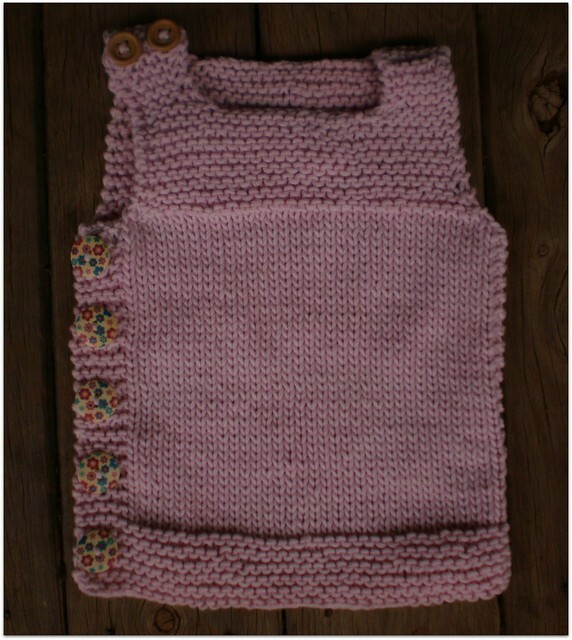 This baby vest is so darn cute. My oldest was born on Christmas Eve and was the best Christmas gift ever. 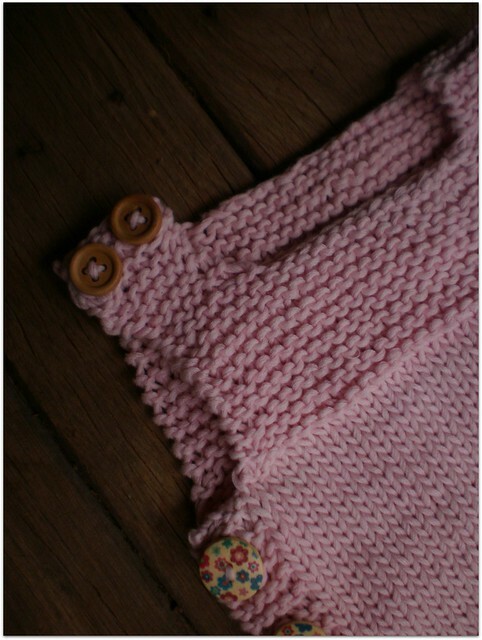 Your friend is lucky to have a friend like you who is thoughtful enough to make this special gift for her baby. I love the buttons. I need to re-read the post to see if there is a pattern?? We have snow and cold. Won't be long though, Spring is right around the corner. Take care. The vest is cute and I love those buttons. Do you stock them? What a cute vest. Dont you just love that pattern! ?